Our two E-Tracers are now in the X PRIZE finals! You can do our team a very big favor (again) if you vote for either E-Tracer (7002 or 7009) before July 26th! You are allowed to vote once every day which also increase your chances to win $3000. 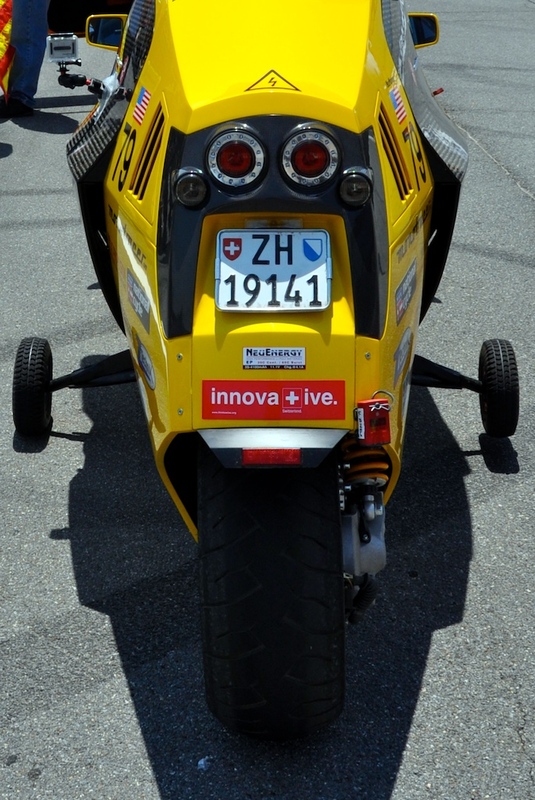 You might have noticed from previous photos that both X PRIZE E-Tracers are sporting http://www.thinkswiss.org/ sponsor stickers below their Swiss license plates. 7002’s is CREATIVE and 7009’s sticker is INNOVATIVE. ThinkSwiss is an official program of the Swiss Confederation—promoting exchanges and sharing knowledge between the U.S. and Switzerland. 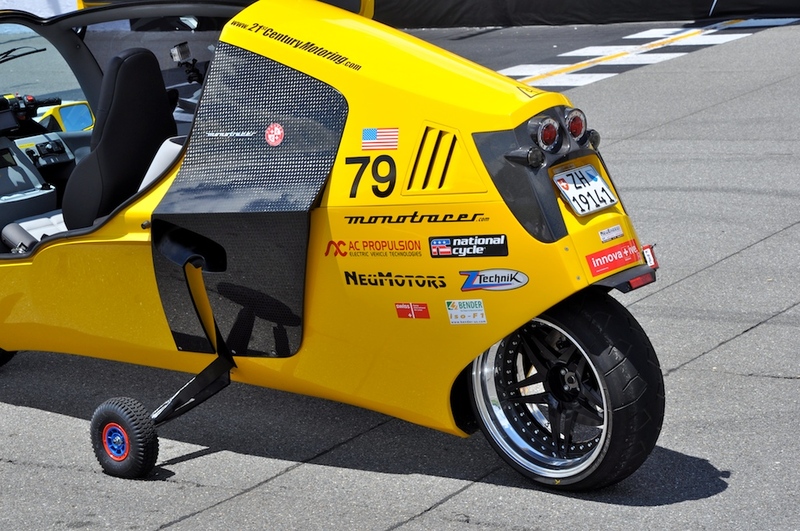 E-Tracer 7009 exemplifies the ThinkSwiss spirit with the symbiotic melding of the legendary U.S. AC Propulsion electric drive system and U.S. NeuEnergy batteries with the exquisite Swiss designed and built Peraves MonoTracer® cabin motorcycle. The previous MOST STYLISH election (online voting period June 17, 2010 – July 5, 2010) closed with E-Tracer 7002 in 3rd place with 7.6% of the votes. This entry was posted in PIAXP X PRIZE and tagged AC Propulsion, E-Tracer, MOST INNOVATIVE, NeuEnergy, PIAXP, ThinkSwiss, X PRIZE. Bookmark the permalink.